“Insistence on the visibility of the Church has been a standard feature of Roman Catholic ecclesiology from the late Middle Ages until the middle of the present century.” – Avery Cardinal Dulles, S.J., Models of the Church. What is the significance of these dates? The “late Middle Ages” saw in the Protestant Reformation the end of Rome’s religious monopoly in Europe and “the middle of the present century” brought the challenge of the ecumenical movement which nullifies the extravagant claims of Rome. However, the very use of the words “visibility” and “invisibility” can lead to confusion. “Visibility” implies reality, while “invisibility” suggests lack of substance. 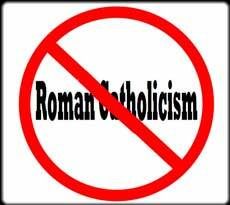 Before we look for better terms, let’s define the Protestant and Catholic positions. The New Catholic Dictionary, compiled by Conde Pallen and John Wynne, with the imprimatur of John Cardinal Hayes of New York City was published in 1929. It contains a good working understanding of both positions. “The stated Protestant position is that the true Church of Christ exists only in invisible form. The visible form, called the (local) Church is not of the essence of the Church. The Church of Christ exists only in its sanctified members, who are not generated by the Church through ministry but generated immediately by God. In an invisible Church we have a Church absolutely known only by God. In a visible Church, we have a church that can be discerned by man.In an invisible Church, we have generation begun, actuated and consummated by God. In a visible Church, we have sacramental generation actuated by sacraments (rites) officiated over by a ruling ministry (hierarchy). In an invisible Church, we have God commanding broadcast of Good News to man, but the life-giving force of this Good News is administered only by the Holy Spirit, therefore its reality is not in outward manifestation, but in inward regeneration. In a visible church, we have “life-giving forces” operating through a favored branch of “clergy”, whose ministrations supposedly bring life. In a local church, the microcosm of the invisible church, we have truly regenerate people with a possibility of unregenerate members, who, although they are members of a local church, do not comprise part of that true church, the invisible church. In a visible church, we have members manufactured by a ritual of baptism even before they can assent, and therefore not one member who has been truly scripturally born again, a rebirth which is administered by God and not through inheritance or human effort or will (see John 1:13). This is because when a person is saved, he immediately ceases to be part of the visible church (although he may not realize this right away) and he becomes a member of God’s true invisible church. A second definition of “visible” from the dictionary is, “That which can be perceived with the mind.” This also presents us with a good contrast. 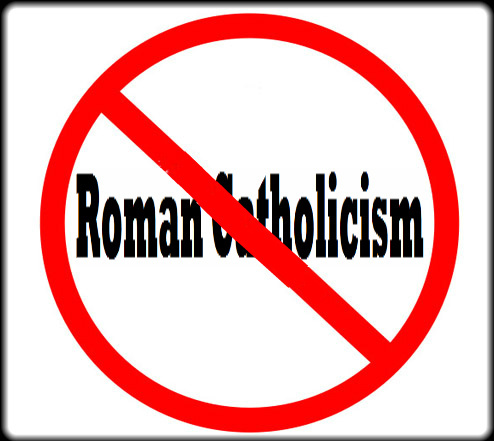 While Roman Catholicism has “mysteries of faith” which must be accepted though not understood, these are philosophical concepts and have no bearing on the substance of the Church. Because, for the Catholic, entry into and union with the church is dependent on outward signs, and the church and all of its ritual and hierarchy become visible. On the other hand, while there are certain outward actions that can be perceived by human understanding in the true church, there is that essence of becoming a Christian which is outside of man’s understanding or acceptance. We can see someone making some indication of his trusting Christ, but we cannot know whether inward regeneration has actually occurred. In this sense, the True Church, in its essence, is invisible. It cannot be defined precisely using human measure, neither can its workings be understood by the human mind. The doctrine of Intention, defined by the Council of Trent, destroys any possibility of a visible church. This doctrine states that any priest may secretly withhold his intention of having any sacramental act valid, though he goes through all of the sacramental forms. The Council of Trent saw this as a means of refuting the Reformed doctrine of Assurance of Salvation, but what it actually does is to destroy any concept of a visible church. We can see the persons involved in worship, but how do we know if their initiatory rite was performed with priestly intention? We see a priest perform a sacramental act, but how do we know that the Bishop who ordained him intended a valid ordination? If we have a pope, how do we know for absolute certainty that the pope received a true Christian Baptism? The only conclusion must be our decision to remain in a supposed visible church that is possibly not even a church, or to submit to the will of God and have Him perform the only truly life-giving Act – the act of biblical regeneration. We must no longer rely on that which our senses perceive to be Truth, for our senses are utterly unreliable. We must cast ourselves at Jesus’ feet for mercy, and enter into a True Church – a Church generated by God; a Church preserved by God, and a Church that will ultimately be glorified by God. Through the intercession of our great High Priest and ministry gifts set in the Church, it becomes a glorious church, without spot or wrinkle, washed in the Blood of the Lamb.